I worked for the family programs department as the media intern. 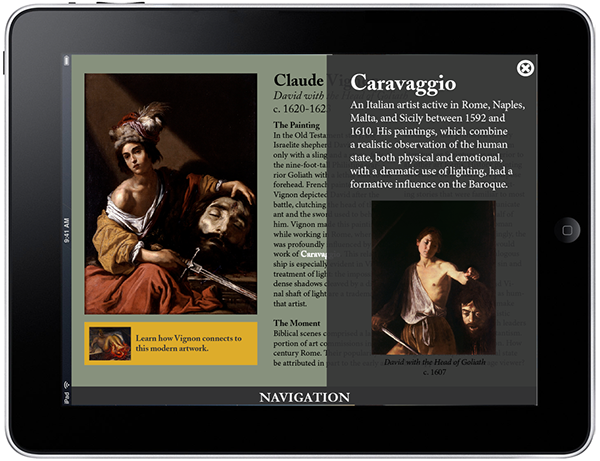 These selected images represent the content I designed for iPads that will be placed in different locations within the museum. 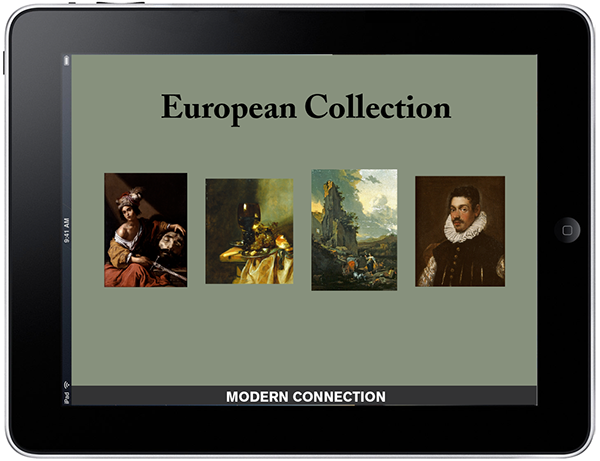 The second series show the content for the "European Collection". 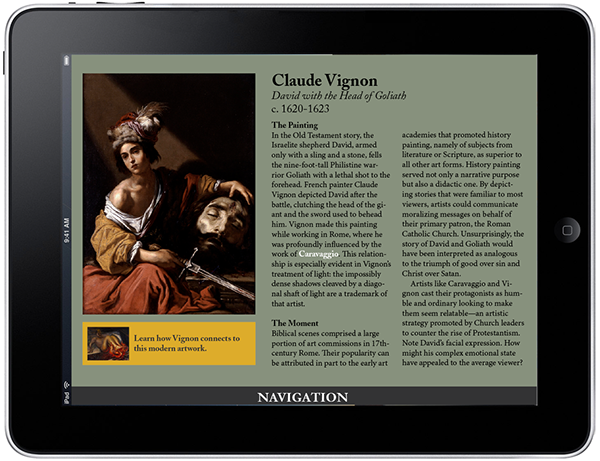 While showcasing specific works in this collection, the content also draws links to other famous artists and even to some of the museum's contemporary pieces.